After losing their final league match last Tuesday at South Tahoe, the Fernley High School softball team wound up as the No. 4 seed for this weekend’s 3A North Region Tournament in Elko. The Vaqueros finished 12-6 in league play and will face fifth-seeded Dayton in the first round of the tournament Friday at 5 p.m. The winner will face top-seeded Truckee, which won the regular season and the No. 1 seed with an 18-0 record. The championship is at 4:30 p.m. Saturday, with the two finalists each qualifying for the 3A State Tournament, which is played Nov. 9-10 at Bishop Manogue. The Vaqueros finished the league season with a loss in three close sets at South Tahoe last Tuesday, 24-26, 22-25, 21-25. 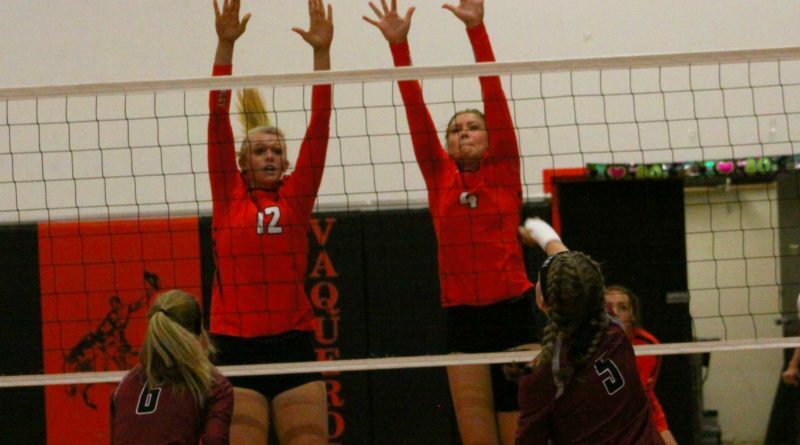 Katelyn Garnett led the Vaqueros with 12 kills, while Jaiden Sullivan had five and Colby Johnson had four. Maddy Garnett served five aces, while Grace Felton had three blocks.